In the wake of his father’s murder, King Sen-user-et I comes to power. First he must manage the transition to power, then he must build his own legacy. To strengthen his legitimacy, Senuseret commissions The Teachings of Amenemhat. Purporting to be written by the late king, the work promotes the new ruler’s view of his situation and courtly society, with special warnings to trust no one. Whether the work is full of Senuseret’s own ideas, or perhaps composed from teachings given by the late Amenemhat during their co-regency, it is a fascinating piece of Egyptian didactic literature. 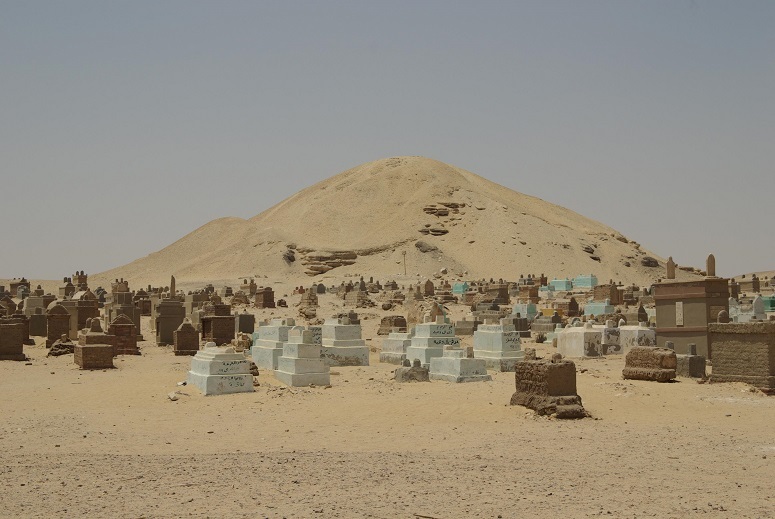 The pyramid of Amenemhat I at al-Lisht (Source: Wikipedia). Cartonnage – linen or papyrus coated in plaster, then painted – from the New Kingdom (Source: Wikipedia). The cartonage coffin of Hapy-Ankh-tyfy (Source: Hayes, 1976). 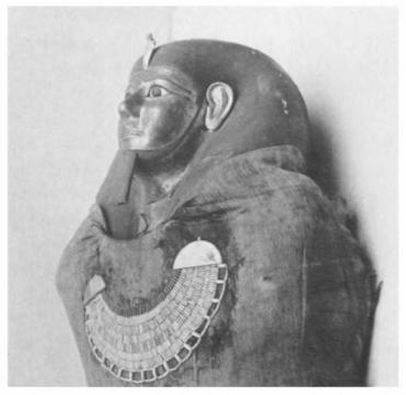 The mummy mask of Khnum-hotep, a Twelfth Dynasty official (Source: Hayes, 1976). 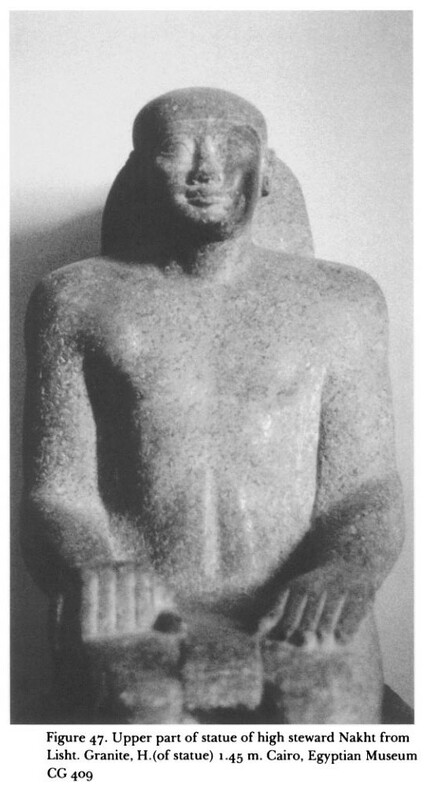 A servant and steward of Amenmhat I, named Nakht, buried at al-Lisht (Source: Hayes, 1976. Dorothea Arnold, “Amenemhat I and the Early Twelfth Dynasty at Thebes,” Metropolitan Museum of Art Journal 1991 (Free Download from MMA). Wolfram Grajetzki, Court Officials of the Egyptian Middle Kingdom, 2009. Gay Robins, The Art of Ancient Egypt, 2008. William C. Hayes, The Scepter of Egypt, 1976 (Free Download from the MMA).